Goodluck with Sale, good deal for someone. LEDs are far superior to HID! I think so, great looking truck but the rear end looks like it needs another 2". Looks good but i think they forgot to send you the rear part of the lift? time to trade it in on a 18! Did you install the struts after? I see coilovers maybe being a overkill for my application. Im only at like 70K miles on my truck but I feel its getting close to shock time... ride quality good on 2.0s? For someone who does ZERO offroading, would a coil over be smoother on the highway? At MAX height plus a spacer would the ride be smoother then a 5100? are Springs included on a coilover? It seems like it might be cheaper to purchase coilovers with springs preinstalled then pay to have someone remove the springs off factory struts and onto 5100s? Honestly a set of hids will cure most people’s needs which will set you back 200 if you get quality products. I ran cheap eBay ones for 2 years with no issues but eventually swapped to 16+ Denali headlights which are a new level but most people can be satisfied with just hids. The Chevy headlights if they aren’t ltz on the 14-15 I hear no issues from. I actually swapped my 14-15 gmc front end into a 16-18 front end due to loving the leds but it cost me around 2k total, but I didn’t want to jump into 10-15k more debt for some lights so I did the swap and kept my 15 since I’ve maintained it since day 1. Look for a 15 over a 14. I have seen many more problems with 2014's that got resolved with the 2015 models. 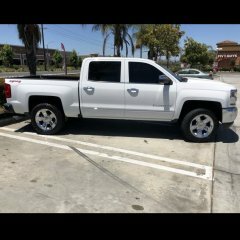 My 15 Sierra has been really good to me, if you can find a 6.2 def get it but i went from an 03-06 5.3 to a 2015 5.3 and this motor is ridiculously stout and more then enough for most needs. 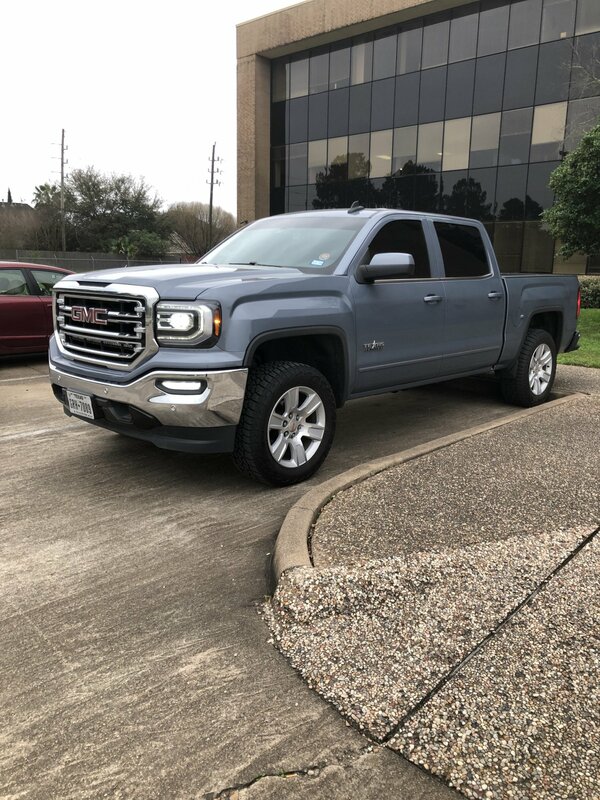 If you look at GMC just keep in mind you'll need to throw in a set of HIDs or upgrade the headlights as the 14-15 Sierras had horrible headlight issues. GREAT trucks though, smart move to skip the 07-13's.